2016 was an incredibly mixed year. Professionally, things couldn’t have been better, but there were some personal lows that certainly kept my feet on the ground and made me question many aspects of my life. 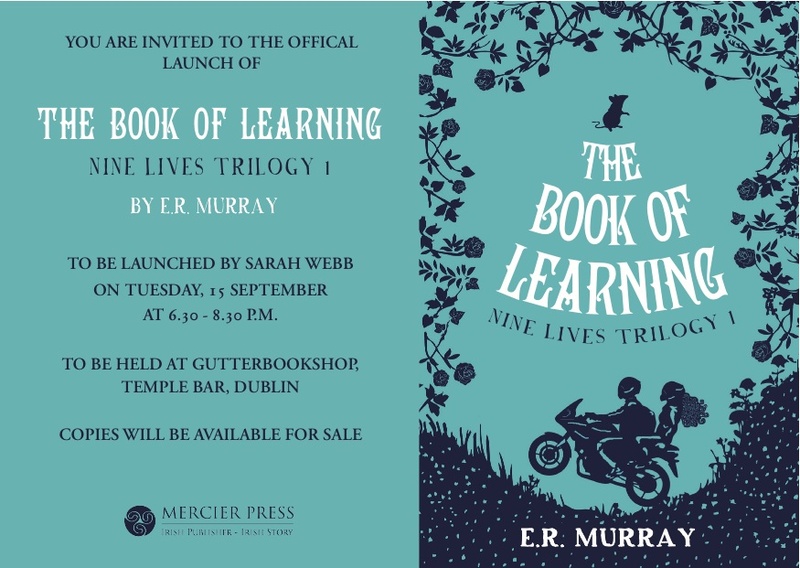 The year began with The Book of Learning – Nine Lives Trilogy 1 being chosen as the 2016 Dublin UNESCO City of Literature Citywide Read for Children. An initiative that encourages reading for fun, this is very close to my heart because if it wasn’t for books, my life would be very different indeed. Books were my childhood sanctuary and I can’t extol the value of reading enough – books really can change lives. As for the UNESCO events from January to April, words can’t explain how amazing an experience this was. Walking into a room where all the children have read and enjoyed your book is just incredible, as was reading in the beautiful National Library of Ireland and the grand finale – a St Patrick’s Big Day Out event in a Georgian house based on 23 Mercury Lane in my book (with real pet rats). The UNESCO team – particularly Jackie Lynam who has now become a true and valued friend – was incredible to work with; both professional and human. It was during this time that I lost two close friends and they were so incredibly supportive, I can’t thank them enough – so a huge thank you goes out to everyone involved. (Look out for Dave Rudden’s Knights of the Borrowed Dark events from January to March as the 2017 Dublin UNESCO Citywide Read kicks into action – they’re going to be amazing). Publication wise, my first young adult book, Caramel Hearts, was released in Ireland and Australia in June, and I was honoured to have Sinead Gleeson launch the book for me. Sinead is an incredible woman whom I admire very much because of her kindness, her honesty and her integrity. Sinead’s writing and interviews always have a profound effect on me and I’m looking forward to more in 2017. Later in the year, The Book of Shadows – Nine Lives Trilogy 2 was published, and this went on to be shortlisted for the Irish Book Awards! This was a wonderful night, shared with many great friends who were also shortlisted and I also got to see my husband in a tux! In addition, The Book of Learning was optioned for dramatic rights by the lovely and enthusiastic Ripple World Pictures – watch this space! There have been over 100 events in schools and libraries this year, including a rather busy October, spent touring for joint events with Alan Early. The Children’s Book Festival is exciting yet hectic, but Alan really made the month fly by with plenty of laughs – if you haven’t already, you should check out his Arthur Quinn series. It’s brilliant. Festivals have been kind to me also this year, including West Cork Literary Festival, Doolin Writers Weekend, Ryedale Book Festival, Mountains to Sea, Belfast Book Festival and Listowel Writers Week – each was a pleasure and a joy and I can’t wait to return. Festivals provide so much for writers; the chance to get in front of an audience, some income, time to meet with other writers and also attend their events to keep the whole writing side fresh and interesting. Writing festivals are a highlight in any writers’ calendar, so thank you to everyone who works tirelessly to keep them going! However, on the flip side, some very close friends died this year, and the loss of their smiles, their chat, their talent, is keenly felt. In addition, with so much success comes lots of hard work and I have to admit, even though I’m a born grafter, I found the workload crushing at times. I’ve had to sometimes neglect those close to me and have struggled to maintain friendships without any free time. My husband, my friends and my village have all been so understanding – it’s an incredible thing to have finally found a home. And so, what has 2016 shown me? To make sure you look after and cherish those close to you, as well as your own health – because that’s what really matters. And so, that’s exactly what I intend to do in 2017. I have many more people to thank for their support and encouragement this year, but that’s a post for New Year. And so, the Dublin UNESCO Citywide Reading Campaign has begun! As an author, these past few weeks have proved to be a really exciting time, and as a debut author, I’m still pinching myself. Up to now there has been a photo shoot in the National Library of Ireland, and events in seven Dublin City Public Libraries – Raheny, Donaghmede, Central Library, Charleville Mall, Walkinstown, Dolphins Barn, and Marino – as well as a visit to Scoil Chiarain Special Needs School in Glasnevin. The library staff have been warm, welcoming and supportive, and the response from both teachers and pupils has been incredibly positive. Jackie from UNESCO has been a godsend, making sure the packed schedule runs smoothly, and all in all, I’m feeling really grateful to everyone involved – especially the readers. Did you ever nearly have a nervous breakdown writing a book? If you could meet any author, living or dead, who would you meet? 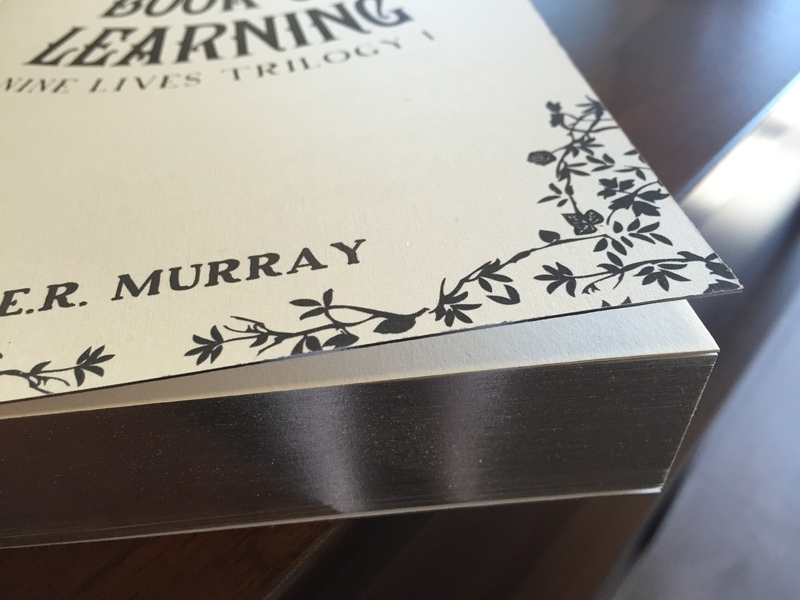 If you had a Book of Learning, what do you think you would see? Reading is so important to me, and being part of a campaign that encourages reading for fun is an absolute honour. So far, the atmosphere is exactly what I hoped for; a space where we can all celebrate books and reading. We talk about what the books and authors we love and why, and what reading means to us. We reveal a few secrets, explore ideas, share our passions and laugh plenty. There are quizzes, illustration demonstrations, and games thrown into the mix – it’s all about fun and looking at books and reading from a fresh perspective. There are lots more events coming up over the next two months, including a book trail in the National Library of Ireland, an illustration workshop with the wonderful Oisin McGann in Hugh Lane Gallery, and a really special event as part of the Big Day Out St Patrick’s Festival in March. Check out www.dublincityofliterature.ie for more details! I’d like to leave you with a couple of surprises that I wasn’t expecting. The first is the sighting of posters on Dublin Bus – don’t they look amazing? And the second is the fantastic window display in Hodges Figgis Bookshop that blew me away. It’s every writer’s dream to see something like this! I do hope to see you at some of the events over the coming months – remember to visit www.dublincityofliterature.ie for more details on what’s happening and how you can book your space. And don’t forget to come and say hi! Earlier this week, I had the pleasure of launching the Dublin UNESCO Citywide Read at the gorgeous National Library in Dublin – one of the city’s landmarks that feature in The Book of Learning. Citywide Reading Campaign for Children 2016 #citywideread Dublin City CouncilÕs Library Service today launched details of the Citywide Reading Campaign for Children 2016. The campaign, which encourages children to read for pleasure, is run by Dublin UNESCO City of Literature and Dublin City Council Public Libraries, in partnership with Mercier Press and runs from January to March 2016. 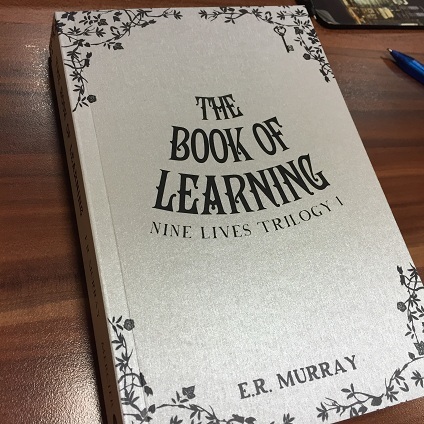 The Book of Learning by E.R. Murray has been chosen as the book for this yearÕs campaign. It is a story of mystery and adventure, which will appeal to both girls and boys of 9 years and older. There will be author visits to public libraries as well as city-centre based events to promote the campaign. Pictured from left: Lucy McKee O’ Brien aged 9 from Skerries, Mai Madden aged 12, from Collon, Co. Louth, Matthew Ward, from Yougal Cork, (right) Abby Stewart aged 10 from Skerries, Erica Brierton aged 11 from Bray Co. Wicklow and Maia Stewart, aged 11 from Skerries with author E.R. Murray. For more details please go to http://www.dublincityofliterature.ie. Picture Colm Mahady / Fennells – Copyright 2016 Fennell Photography. Citywide Reading Campaign for Children 2016 #citywideread Dublin City CouncilÕs Library Service launched details of the Citywide Reading Campaign for Children 2016. The campaign, which encourages children to read for pleasure, is run by Dublin UNESCO City of Literature and Dublin City Council Public Libraries, in partnership with Mercier Press and runs from January to March 2016. The Book of Learning by E.R. Murray has been chosen as the book for this yearÕs campaign. It is a story of mystery and adventure, which will appeal to both girls and boys of 9 years and older. There will be author visits to public libraries as well as city-centre based events to promote the campaign. Pictured at the National Library of Ireland for the launch were: Lucy McKee O’ Brien aged 9, Abby Stewart, aged 10, both from Skerries, with Author E.R Murray. For more details please go to http://www.dublincityofliterature.ie. Picture Colm Mahady / Fennells – Copyright 2016 Fennell Photography. When I started writing The Book of Learning (Nine Lives Trilogy 1), I was new to Dublin and infatuated with exploring this beautiful, friendly city. The parks, museums, theatres, cathedrals; there was so much to see. As I immersed myself in my new surroundings, the characters of Ebony Smart and Icarus Bean – who had been lingering in my head for some time – became so noisy and infuriating, that I had to start writing about them. I always write my first draft in one month, and whenever I get stuck I take a walk. Wandering the streets of Dublin, the plot of The Book of Learning began to unravel, and the valuable role of this city emerged. When you’re writing about fantastical worlds, the details must be realistic so the reader will believe in your characters and your settings and I soon realised that Dublin’s hideaways and historical buildings suited my storyline and characters perfectly. My Lower Hatch Street apartment transformed into 23 Mercury Lane, a Georgian house full of mystery and unusual events. The Botanic Gardens morphed into the secret Headquarters for the Order of Nine Lives and its villainous judge. The pond in St Stephen’s Green became a magical underground lair, and other landmark buildings like The National Library and The Natural History Museum provided the perfect backdrop for many weird and wonderful scenes. But this was only half of the story solved. 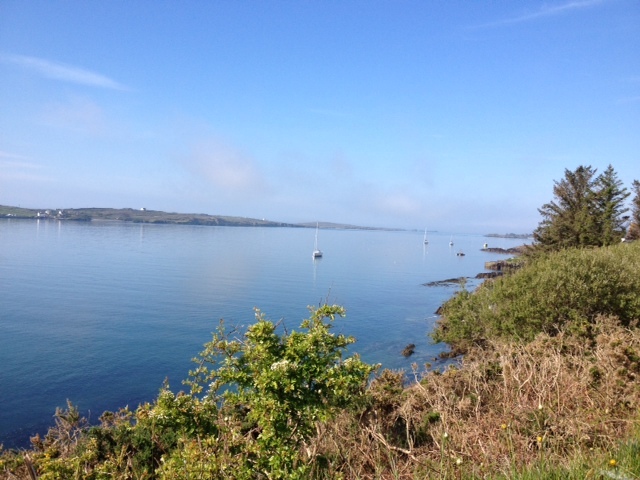 I’d always planned for The Book of Learning to be set in two different locations, so when I visited Schull in West Cork for a writing break, everything fell into place. I needed a seaside setting, with hills and islands – but I also needed woodland. So, rather than basing this section of my book on one particular village, I took the essence of West Cork and combined different parts of the area to make my own fictional village – Oddley Cove. Gallows Island is based on Long Island, with added cliffs and a cave. Gun Point is the name of a real place (though I have moved it geographically), and the channel is my version of Roaring Water Bay. There’s a scene in my book that involves a stormy boat trip, and this is based on real events; while I was visiting Cape Clear, we were caught in bad weather returning home, only I exaggerated events to make them much more exciting. Hopefully when you read #TheBookofLearning you’ll recognise some of the places. And when you’re wandering your own streets, wherever they may be, let your imagination wander – you never know where it might lead! In 2009, I started a story about a girl called Ebony Smart. Today, that story, The Book of Learning, hits the bookshops – and I can hardly believe it’s real. I didn’t work on The Book of Learning every day of those six years. It took around one year to write and another to perfect, but that’s how long it’s taken to see the book in print. So a huge thank you to everyone at Mercier Press for making it happen, and to everyone who has supported me along the way. For me, this is such a huge day. Share it with me by taking an extra hour for yourself, to do something you love. 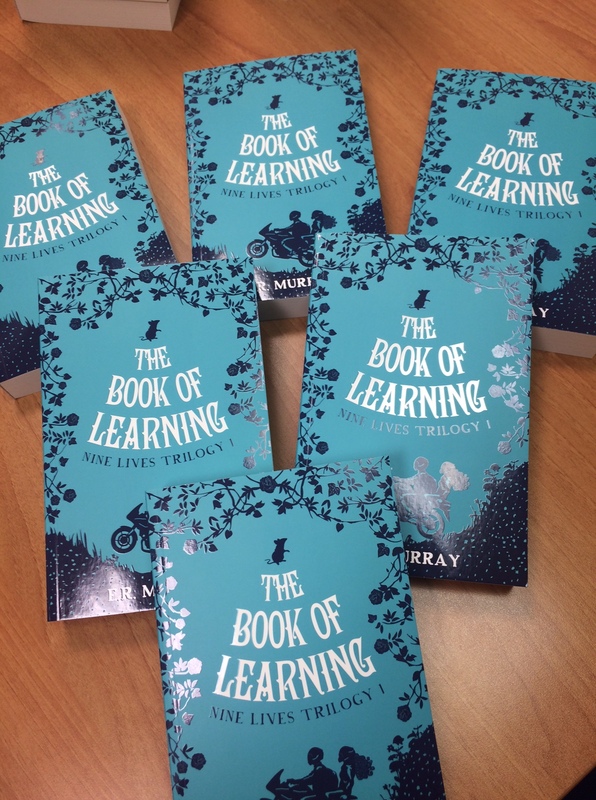 A few days ahead of publication day (Sept 2nd), you have the chance to win a special Limited Edition version of The Book of Learning over at Eason’s! 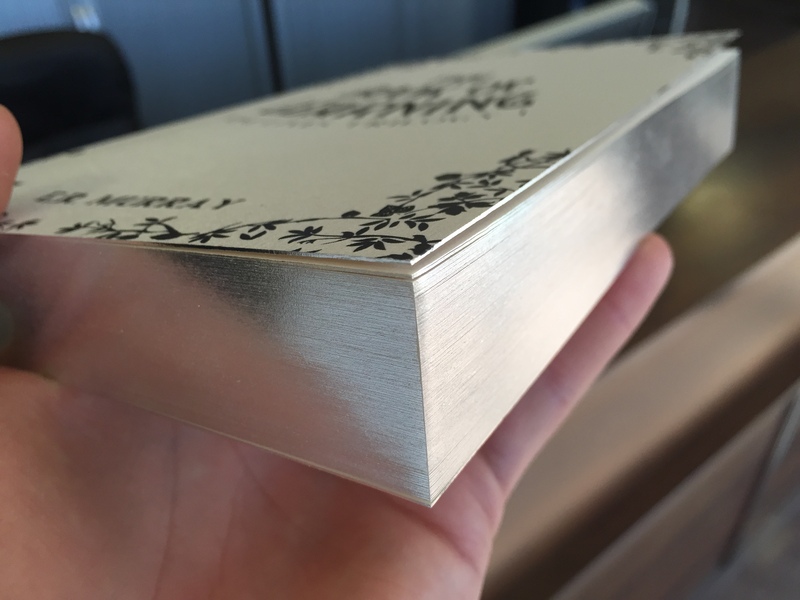 These Limited Edition covers are SILVER, they’re SHINY, and they’re just GORGEOUS (see below)! To be in with a chance to win, read my blog post over on Eason’s and then answer the question – good luck everyone!